Teeth whitening is a quick and effective solution for a healthy smile. In this method, we use a special light at a high-intensity level with a special hydrogen peroxide formula that oxidizes all teeth through a special tube, which eventually provides the colour tone you have chosen. With our nonsurgical procedure, your teeth could be shiny, natural and white as you imagine it to be. The whole whitening procedure takes around 40 minutes and it is a one-time treatment. The teeth whitening procedure will include 2-3 minutes long intervals. For a better effect, it is recommended to have teeth cleaning before the whitening. The effects will be immediate, and will last for around 2 years. To make the results last longer, the patient should not smoke or drink coffee, tea or red wine for at least 24 hours after the treatment. Absolutely, it is almost for everybody. The system can help to whiten the teeth from stains due to smoking or drinking tea or coffee. 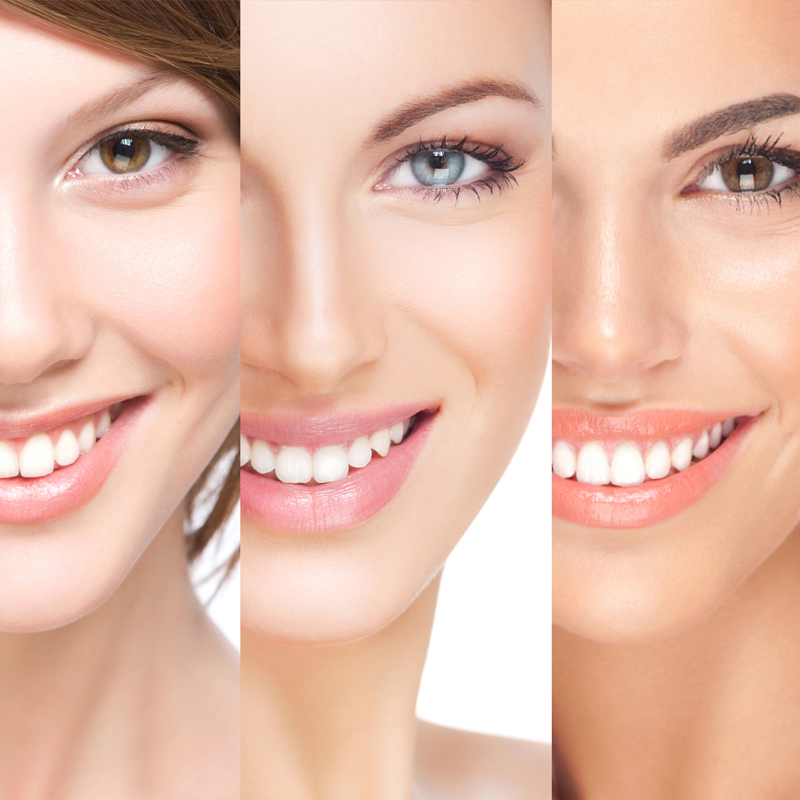 Even teeth discoloured for hereditary reasons can get whitened using the Teeth Whitening. Note: Only patients with periodontal disease and pregnant women should avoid using the system. How much whiter could my teeth become? The teeth can go from 5 to 15 points up on the Vita scale. The result depends on the initial teeth colour, but in any case, it is guaranteed to get shinier and whiter teeth after the procedure. It varies from person to person, factors such as smoking, etc. effects the results. Absolutely, teeth whitening is a safe and efficient procedure. The method has been used for over 10 years and classified as perfectly safe. Can teeth whitening be used on my existing crowns and porcelain veneers? Unfortunately, it is not possible in any of the whitening procedures.